On January 2008, Steve Jobs introduced the “world’s thinnest notebook” and showed the world the first-generation of the MacBook Air. It was magical. However, that was many iPhones ago. Rather than announce an update to the MacBook Air models, Apple is focusing on their new MacBook Pros and phasing out the little guy. Some speculate that Apple pulled their lightest notebook ever because it was in competition with the iPad Pro. Yes, the iPad Pro has awesome processing power, amazing graphics and there are awesome possibilities when combined with the many treasures in the App Store. However, most heavy Mac users will tell you that the iPad Pro is not a replacement for a Mac. The decision comes down to the intended use of the device inevitably. Don’t discount the appeal behind all the Mac models, including iMacs, Mac Minis, MacBook Pros and MacBook Airs. Apple has recently discontinued the 11” MacBook Air and the 13” is surely not far behind. If you are interested in a very slim, powerful Mac, now is the time to get a MacBook Air. The 13” starts at less than $1000 and was updated in 2015. It is durable, light, ultraportable, powerful and has a great battery life. Apple no longer sells the 11” MacBook Air. Should you buy the 13” MacBook Air even though it is being discontinued? The Apple warranty on any new Mac is one year. AppleCare will extend that coverage to total three years. 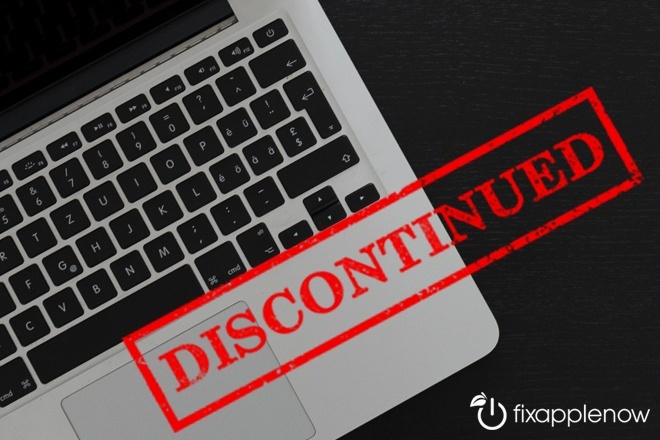 Despite the state or future Mac models, MacBook Airs will be supported by Apple, and Apple repair shops until they are older than five years. Apple has also finally retired the last MacBook Pro models that are sold with a SuperDrive. Although it hadn’t been updated since 2012, Apple was still selling the model until recently. The newest MacBook Pro is practically as thin and light as the MacBook Air, but with a faster processor, larger storage and improved graphics, starting at $1499. However, the MacBook Air can be configured to endure. As I am publishing this on a 2015 11” MacBook Air, I can vouch for the sheer durability of this i7 powerhouse. The first time it was turned on, it ran Adobe programs while streaming for ten straight hours before the Air sent indications it needed a little break. It is smart to think about five years into the future when buying your next Mac, but more important than the model might be the tech specs and processing power, which cannot be modified later. Surely an upgraded 13” MacBook Air, with a 2.2GHz Dual-Core Intel Core i7 and up to 3.2GHz Turbo Boost, will be a reliable and powerful tool for years to come. Fix Apple Now takes trade-ins and has a rotating inventory of refurbished Macs for sale. Prices start as low as $400 and every Mac is sold with a 6-month warranty. If you are looking for the 11” MacBook Air, contact Fix Apple Now to track down the best model for you. If you are buying any Mac, Fix Apple Now can setup your new Mac and transfer any data from your old Mac. The MacBook Air is the last model to use the MagSafe connectors and at $999, the 13” MacBook Air is still hundreds cheaper than a MacBook Pro. The best MacBook Air moment…the commercial showing off the slim body by sliding it into a large envelope.